Utah-based company Saygus had promised a great deal at CES 2010 with their VPhone, which pretty much stayed in the dark, pulling the company back into the shadows. 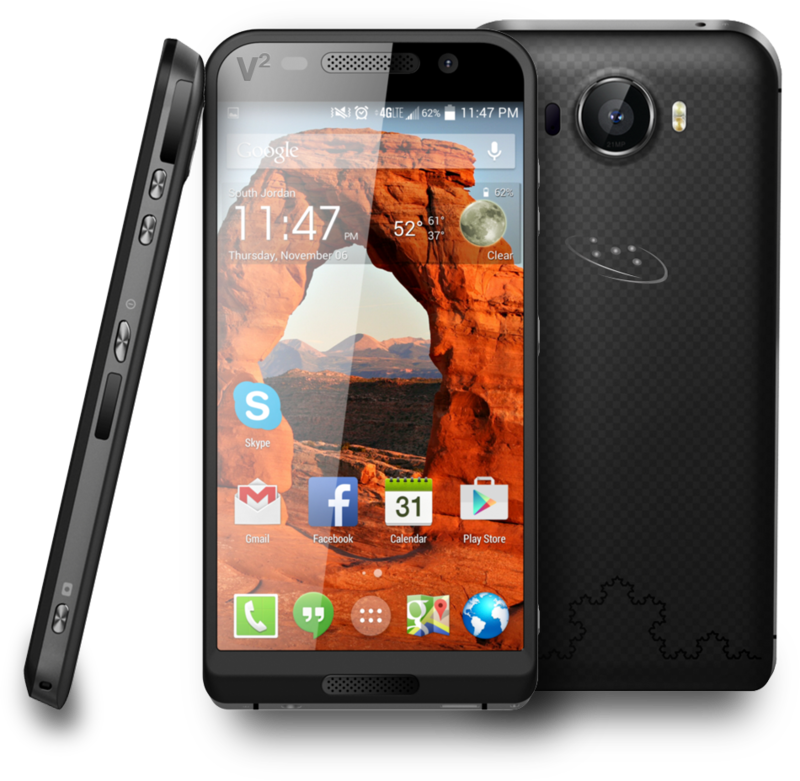 But this year, Saygus is back at CES with a renewed version of their smartphone, named ‘The V2 ‘ (V-squared). Although the phone does not look extremely handsome compared many devices out there, it certainly has specs to give you a shiver of excitement. V2 has a 5-inch, 1080p display that has the protection of Corning Gorilla Glass 4. The phone contains a 2.5GHz quad-core Snapdragon processor, and runs on Android 4.4 Kitkat. You get 3GB of RAM and 64GB of usable space (yes, you read that right! ), plus two microSD card slots, that lets you bump up the storage space by 256GB (128GB for each slot). With that much space on your phone, the possibility is endless. Now let’s come to the camera. If you are one of those people who loves taking photos with phone, V2 would be the perfect option for you. This monster has a rear-facing camera of exactly 21 megapixels, and the front camera is of 13-megapixel. The 3100mAh battery can simply be called a cherry on top! To go with these awesome specs, V2 comes with water-resistance properties, and technically speaking, meets the IPX7 standards; which implies that you can keep your phone dumped into about 3 feet of water for 30 minutes and it won’t die on you. Want more? V2 can also function as a 60Hz mobile transceiver, a fingerprint scanner and contains built-in, high-end audio technology. Unfortunately, Saygus has not mentioned anything about the price of V2, but it doesn’t need a genius to figure out that this phone will be pretty costly. The pre-ordering is expected to start this month, and the phones will start to ship out to customers sometime in the first quarter of 2015.